Moving house today. Our new neighbourhood seems a bit dodge, but that plush new retail development next door looks alright. Seriously, I’m practically ordering an Americano before I realise something is amiss. Over in Byrne Pharmacy, it looks like they’re going for one of those twenty-in-a-phonebox-type world record attempts. Check out the identical twins in brown pantsuits (L-R panels 3 & 7), arms folded and ignoring each other. 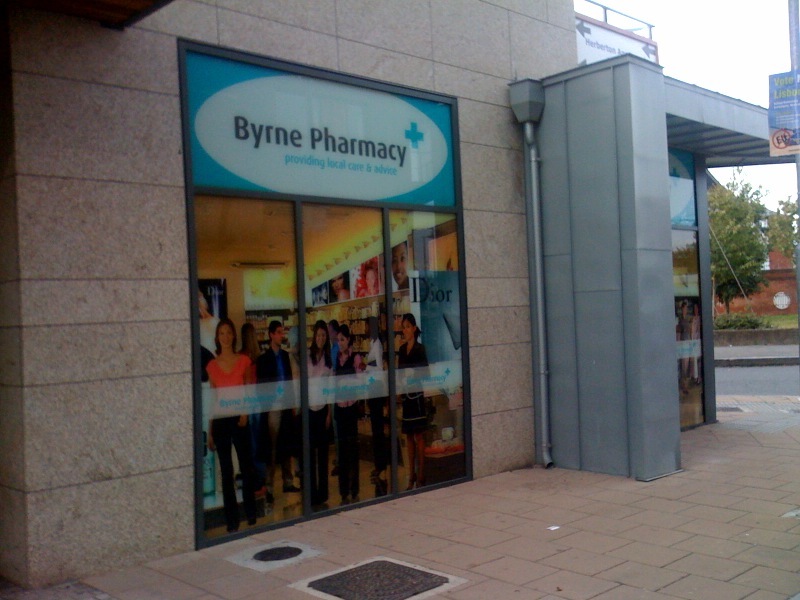 Look out Byrne Pharmacy, this fake town ain’t big enough for two fake pharmacies. 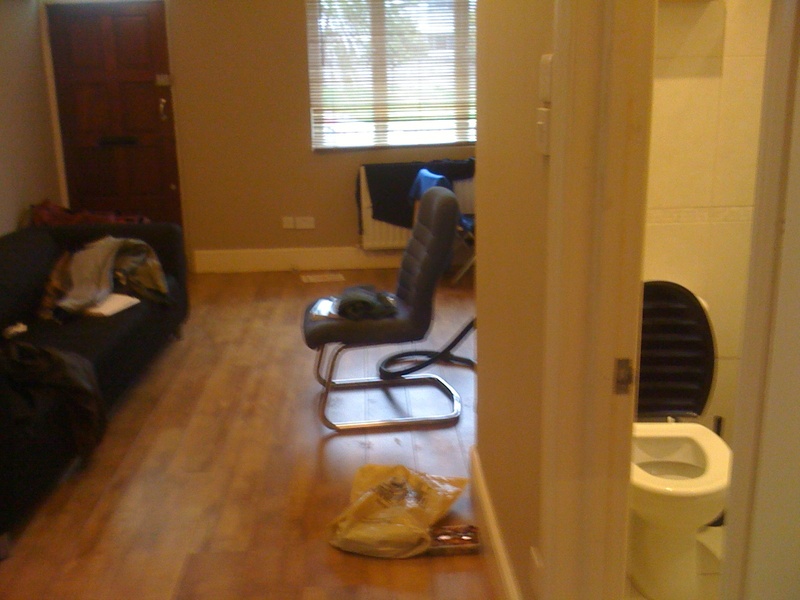 Toilet that opens out onto living room/kitchen area? CHECK. 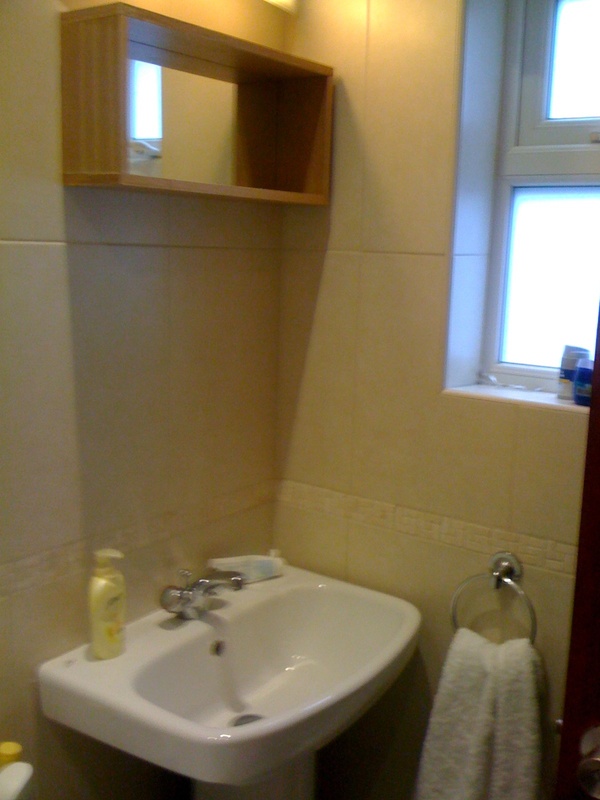 Bathroom mirror that only people 6’8″ or taller can use? CHECK. 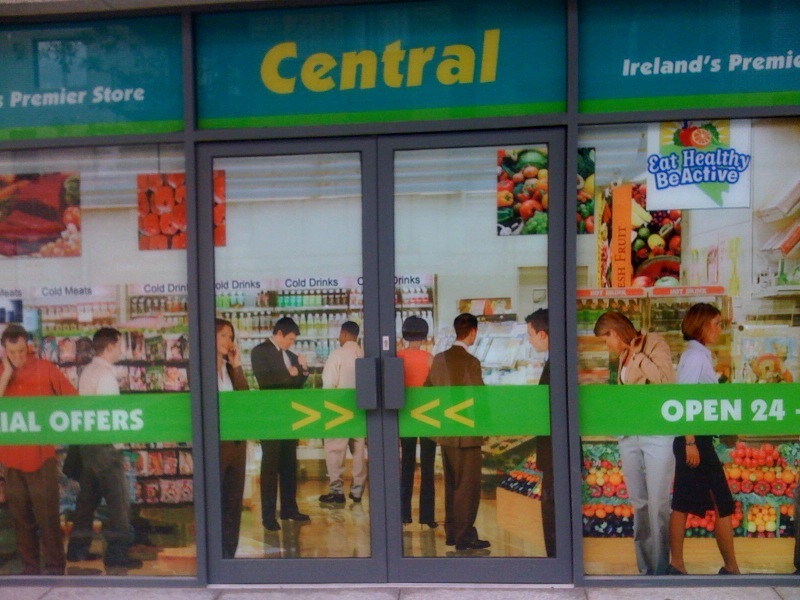 Central is basically Centra, just for that whole solemn contemplating crowd! Think I know where this is. Can I call over for a cuppa sometime? Sure, why don’t we meet in Cafe Ole? Oh yeah, that’s right… My place it is then! Wouldn’t it be really weird if you saw yourself in there. Like if you ever bought Windows XP then Microsoft own your likeness. On this topic, I recommend a film called “Cesky Sen” or Czech Dream, a documentary about the opening of a ficticious supermarket in Prague. 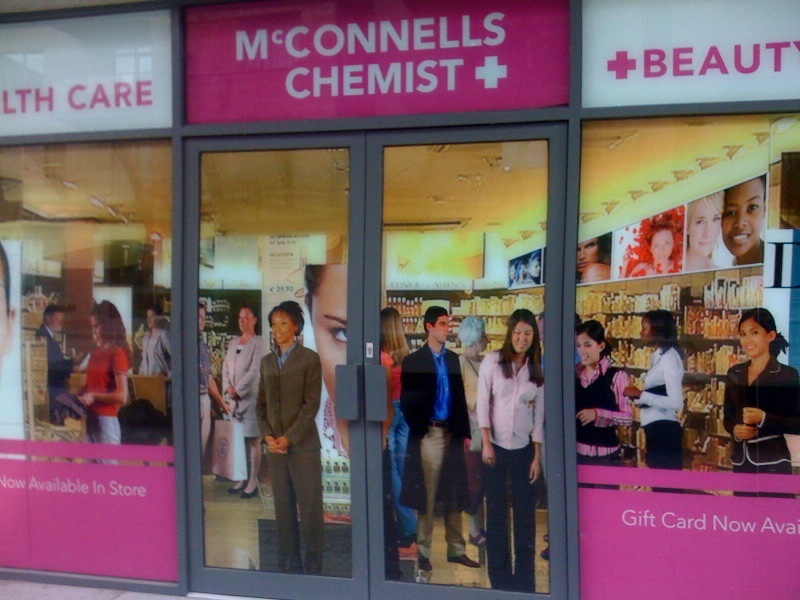 @ Peter – well, that chemist is pretty damn crowded, I might just find myself in there if I looked hard enough. @ Andy – how ya doing man? Had a look at it on YouTube, looks interesting. Hey Eoin, not doing too bad, thanks! 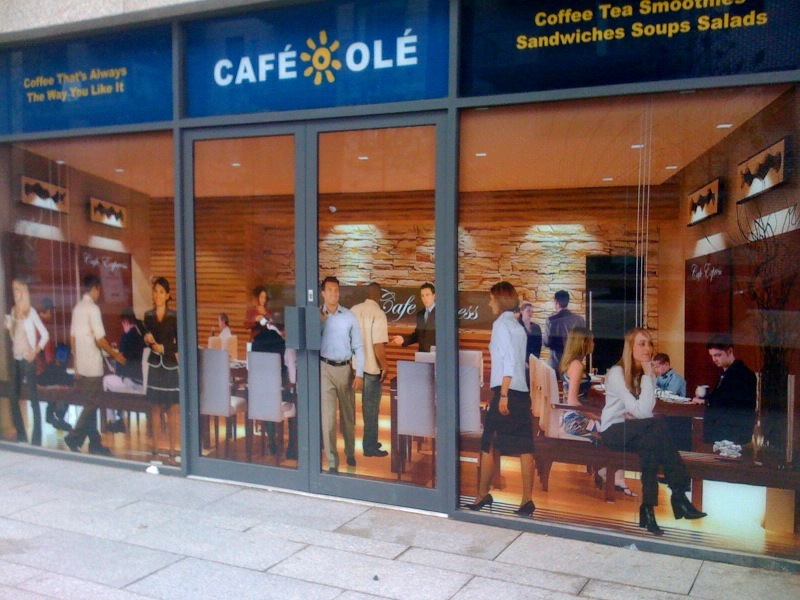 Don’t go for a coffee in Café Olé it tastes a bit flat…and those sandwiches in central? Well they’re a bit cardboardy to be honest. OK I’ve got my coat, and I’m leaving. @ Leeona – you can probably guess whose fault this all is! @ Andy – I’ll have to check it out! @ Ger – my guess is she’s a greeter who invades your personal space and makes you feel really uncomfortable until you end up having to leave. @ Conal – nail on the head! What about the other, seemingly mentally deficient, woman who appears to be slumping violently against the glass door in O’Connell’s. Gone crazy after spending weeks trying to escape from her two-dimensional hell? I’ve just noticed the same woman is trying to escape from Byrne’s. Okay I can’t look at these pictures any longer. I genuinely feel like I’m on something funny. 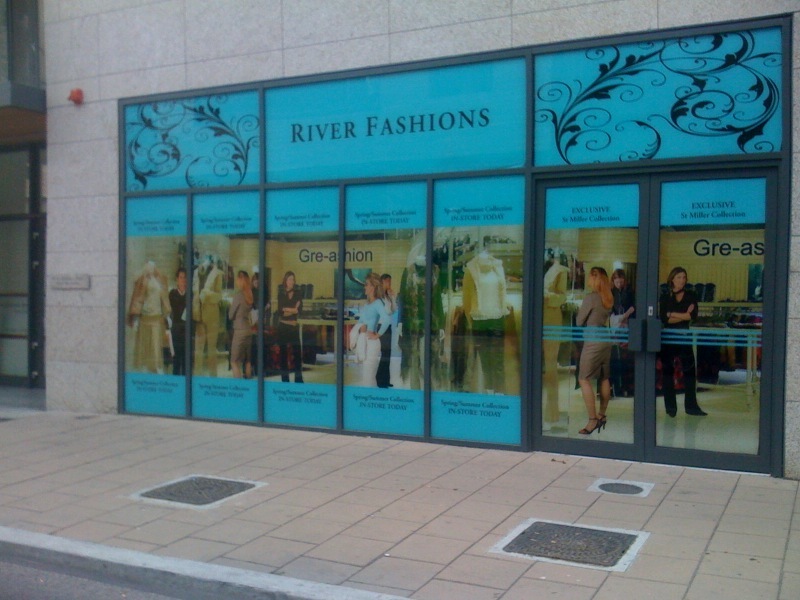 @ Darragh – They’re sisters bitterly divided over which is the best fake pharmacy in town. The acrimony is tearing them apart, hence the slumping! Given that those are photographs of real people, doesn’t it make you wonder if they are the rejects from America’s Next Top Model (or our very own The Model Agent) who were promised lucrative careers in catalogue? And I wonder if one gets paid more for, say, being in front of the contraceptives (for shame) than in front of the sambos (nothing to see here).